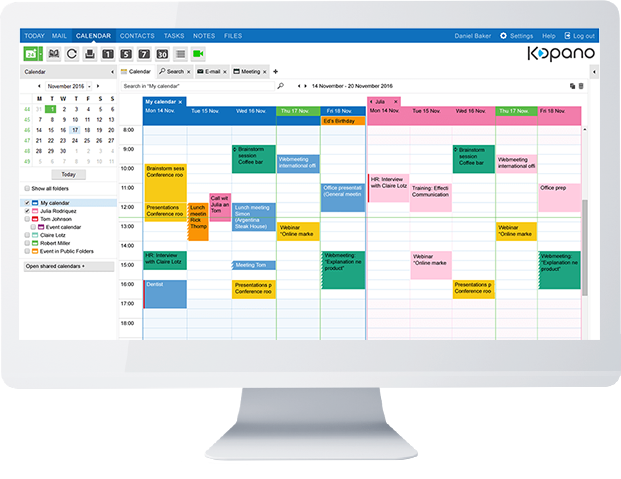 Keep an overview of your team’s schedules with Kopano’s advanced calendaring features. 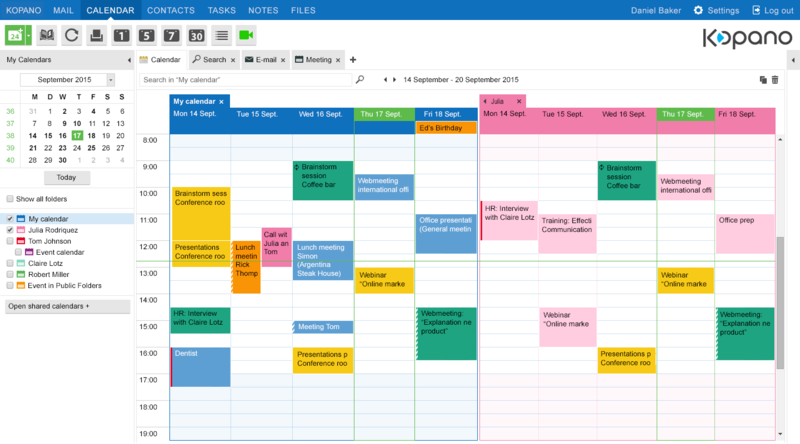 By giving one or more colleagues permission to manage your calendar on your behalf you can use your time as effectively as possible. Planning meetings is also easy. 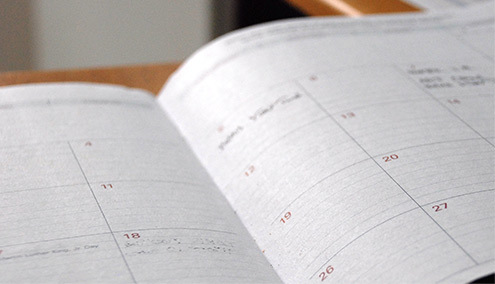 Select the people you’d like to invite and your calendar will find a time that fits everyone’s schedule. 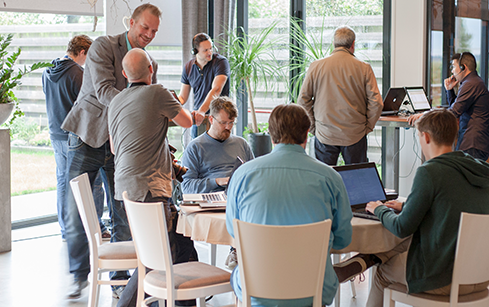 Great designKopano is an expert in creating user-friendly and innovative solutions that are under your control. 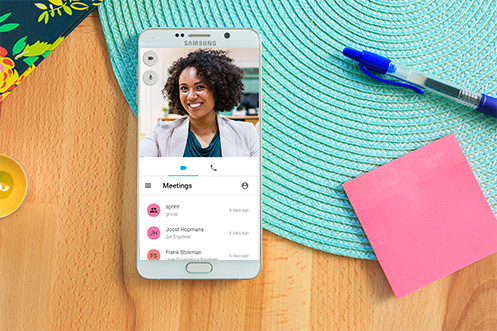 With Kopano Contacts you can keep track of everyone who’s important to you. The business card overview makes it easy to search and view your contact’s details. Contacts are available on your smartphones and tablets with natively supported synchronization tools: no need to install an app. 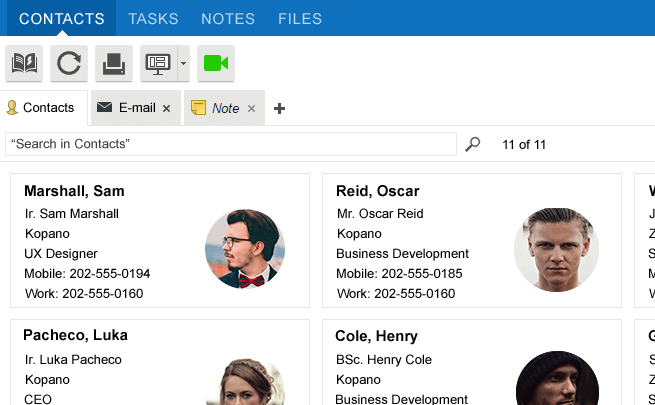 Kopano Tasks helps you keep track of open to-dos or e-mail messages that need attention. 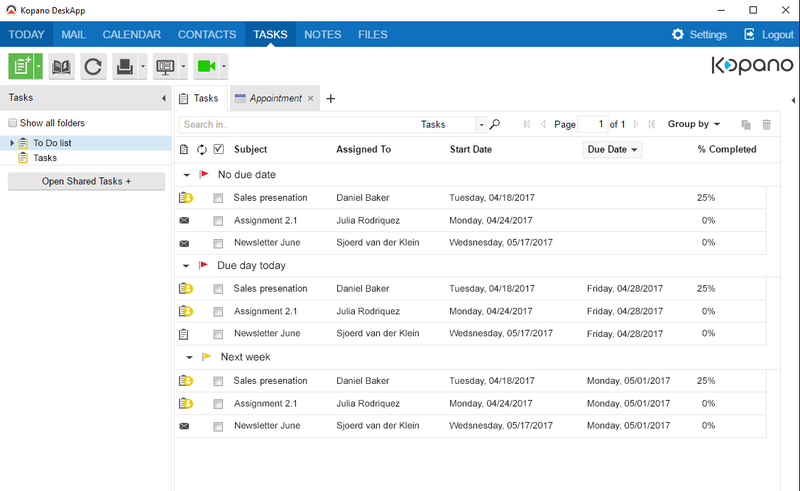 You can set due dates and receive notifications for your most important tasks or assign them to colleagues you work with. Use Kopano Notes to make sure you don’t forget your best ideas.